The year 2019 is here. The turn of the year also marks the first anniversary of this blog. Join us on a trip down memory lane and see what insights and ideas MMXVIII brought. We went through what we wrote and produced in 2018 to find the most actionable and powerful ideas and insights. These are insights that, if used correctly, could help shape your business. A conversation over a cup of coffee can lead to many interesting questions and answers. 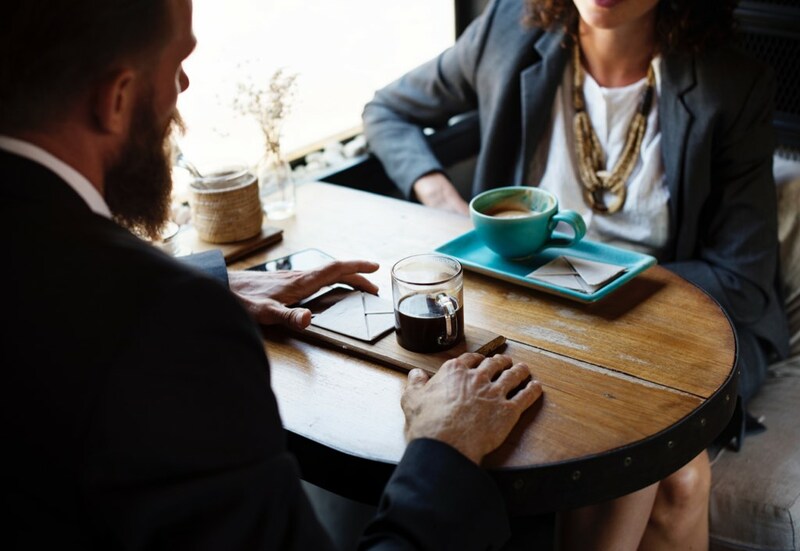 Why not kick off the new year with some great client conversations? When I talk to freelancers and agencies and hear about their challenges, frequently their problems are due to a lack of customers insights. Very few business owners and leaders take the time to understand why people turn to them to solve their problems. I can wax lyrical about the value of great models but those border on useless without real data. And when I say data, I don’t mean anything complicated. A conversation over a cup of coffee can lead to many interesting questions, answers, and ideas. Why not kick off the new year with some great client conversations? We’ll keep covering this important aspect of running a thriving business. Stay tuned to learn more about getting actionable client insights. The Value Curve shows the relative worth of services and the price you can charge. If traffic data tells me anything, it’s that people who read this blog are very interested in pricing. Our article about tiered pricing for freelancers and agencies keeps topping the charts. It’s no wonder. Pricing matters. A lot. For a small business that adopts value-based pricing and starts “pricing the client,” an average price increase of 10% isn’t unrealistic. Assuming costs remain the same, for a company with a 10% profit margin, such an increase results in a doubling of profits. 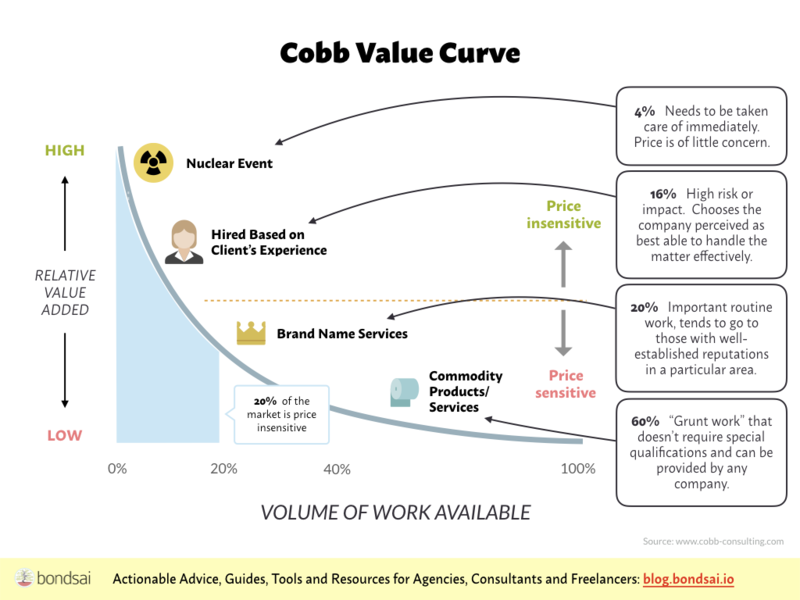 Investing some time in reading our articles about value-based pricing and nuclear event pricing as well as a book or two on pricing is time very well spent. 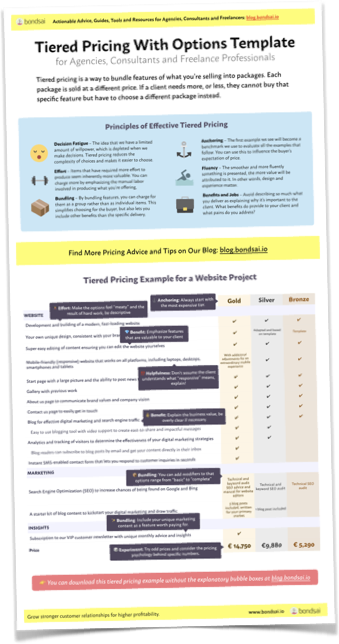 We will continue to cover pricing insights on this blog. If this is something you’re interested in, then we highly recommend you sign up for our newsletter. For something to be seen as a nudge, it has to be cheap and easy to avoid. It cannot be a requirement or mandatory. That’s a different kind of behavioral control. The first interview in 2018 was about a technique called nudging which allows you to influence behavior. 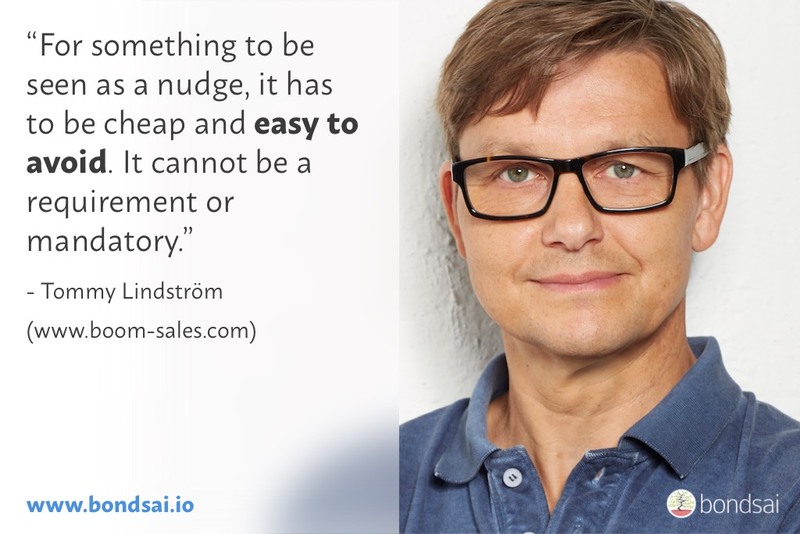 We talked to behavior design expert Tommy Lindström about this idea, methods of nudging and all their applications. Nudging isn’t some abstract concept that relies on a complicated model of behavior. It’s about the small things that influence our actions on a daily basis. We found the topic to be super relevant to agencies and freelancers as nudging is something everyone can do, regardless of budget. It can be used in sales and marketing and can be what tips the scales in your favor. If you’re looking for an edge in 2019, why not learn about nudging? When I bring up the topic of selling, I often hear freelancers and agencies say they hate being a sleaze. The stereotypical image of the vacuum cleaner salesman in the out-of-fashion suit is very much alive in our modern business. That image holds many back from investing in selling and viewing it as a way to give, not just something they do in order to take. Luckily, some brilliant people have written excellent books on the topic. If you feel that selling is something you should do more of, and better. Check out Insight Selling and To Sell is Human. I know they give you new ideas as well as shape how you think about great selling and how it can be done in genuine service to others. Being a buyer isn’t easy either. What many agencies and freelancers sell seems risky to a lot of buyers. This shapes the sales process. Luckily, we wrote an article about why buyers hesitate. 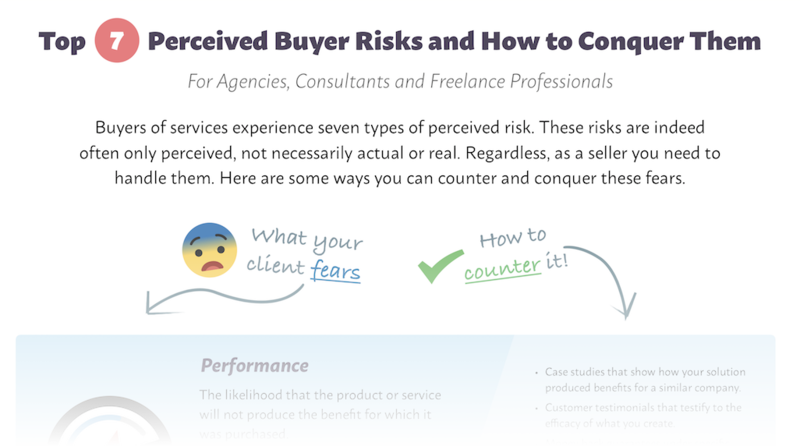 We also made an infographic about buyer fears summarizing these ideas. Handy as a reminder for the next sales meeting. Impermanence might be one of the great tragedies of life. It is a theme that poets and playwrights have returned to over and over again. Nothing lasts forever. So it is with our personal as well as our professional lives. When it comes to business, the consequence of not recognizing this fact of life is a slide towards irrelevance and bankruptcy. Agencies that plan on remaining in the game for a considerable time ahead plan for it. 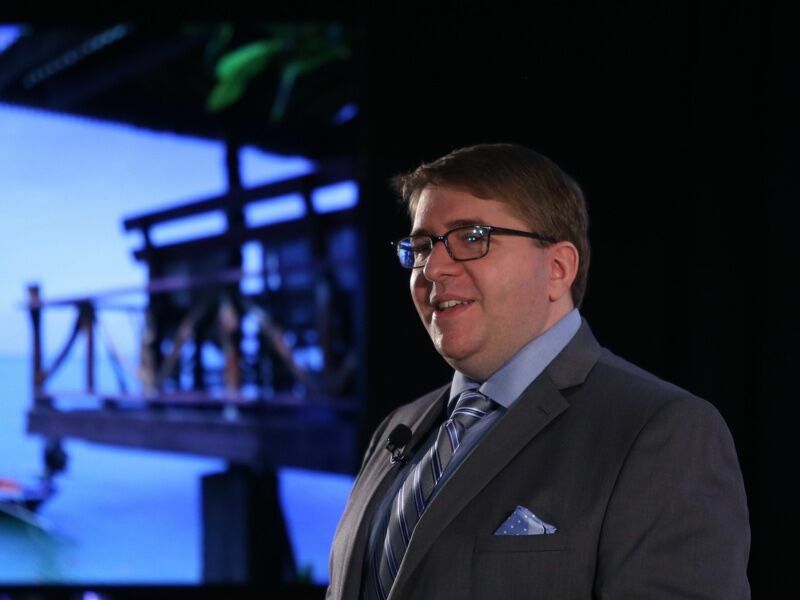 Todd Nienkerk, CEO of Four Kitchens, a distributed digital and content strategy agency, shared his insights. Todd discusses how they have developed strategies and processes to adapt to a changing landscape, rather than just burying their head in the sand. Our advice to you: at least once per year, think about what could make your business totally irrelevant and lose all its customers. 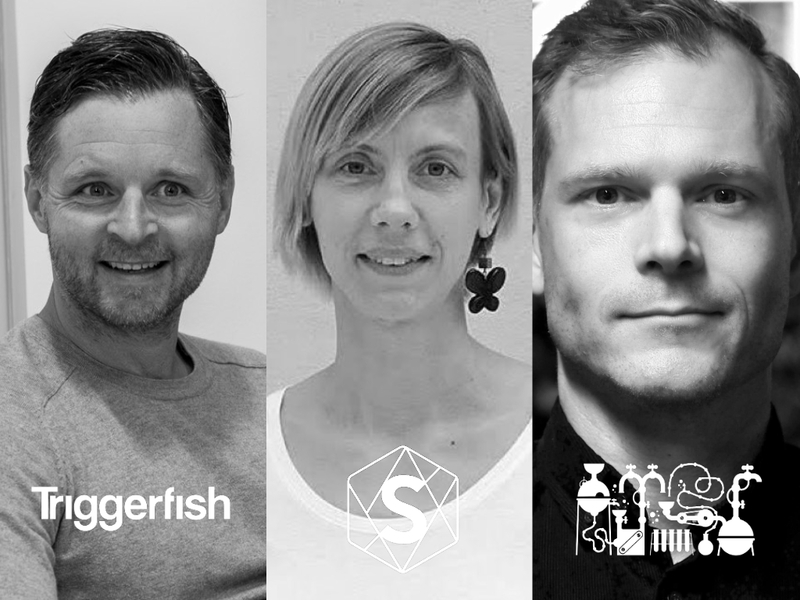 Jakob Pernvik (Triggerfish), Sofia Sundström (SthlmConnection) and Tobias Bard (Prototyp) talked to us about how they collect and use feedback. Running a successful business, be it a small one-person freelancer operation or a corporation, requires constant improvement. One of the best sources of ideas and insights for improvement come from those affected by what you do: employees and clients. During last year, we interviewed 3 agencies about how they collect and depend on client feedback for improvement and growth. The resulting article is full of great advice and tips that are useful regardless of the size of your operation. 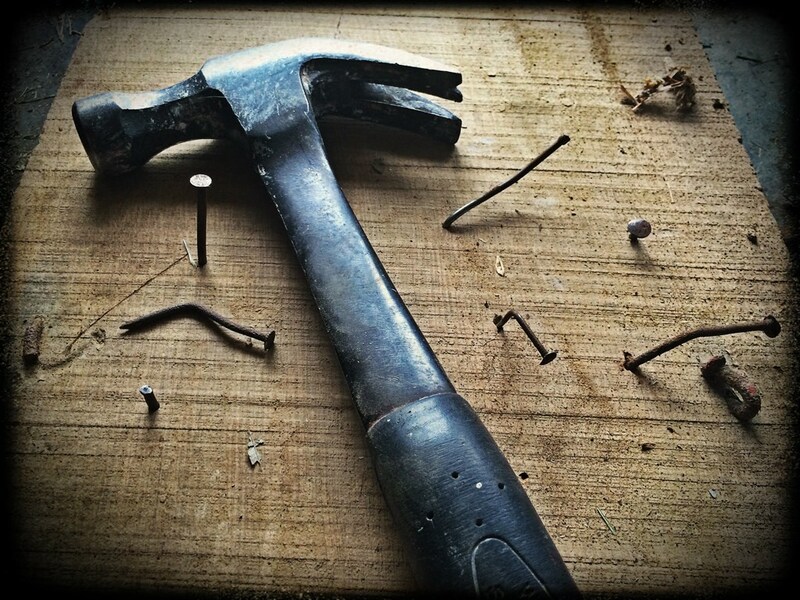 If all you have is a hammer, then everything looks like a nail! As digitalization reaches more and more parts of society, it’s more evident than ever that everything isn’t automatically better just because a computer chip is involved. Those of us who work in digitalization and strive to improve the lives of others through technology are painfully aware of this. Still, we keep churning out deliverables and code, not paying much attention to the impact. A powerful idea is that a way out of this is for agencies and freelancers to start adopting a product mindset. Such an approach takes a long-term view of the impact of our work and treats customer and user experience as paramount to success, not mere icing. This isn’t about us building our own products but doing work for clients as if we were part of a product team together. Is your agency ready to give up projects in favor of products in 2019? Besides writing, we also build useful tools for agencies and freelancers. First out is the Client Happiness Idea Generator, available at client.love. We designed this little app as a box of ideas for ways to make your clients feel valued and appreciated. The ideas range from spontaneous to strategic. The great thing about these acts is that it often doesn’t take much to make someone smile. Ten minutes is all you need to find an idea on how to make your clients a little bit happier and more loyal to you. The last interview of 2018 was with consultant-to-agencies Karl Sakas, who runs a boutique consultancy. Karl’s insight is that agencies should market themselves with the problems they solve, not the services they offer. It’s a brilliant idea which we discussed with Karl who developed his thinking in this short interview. 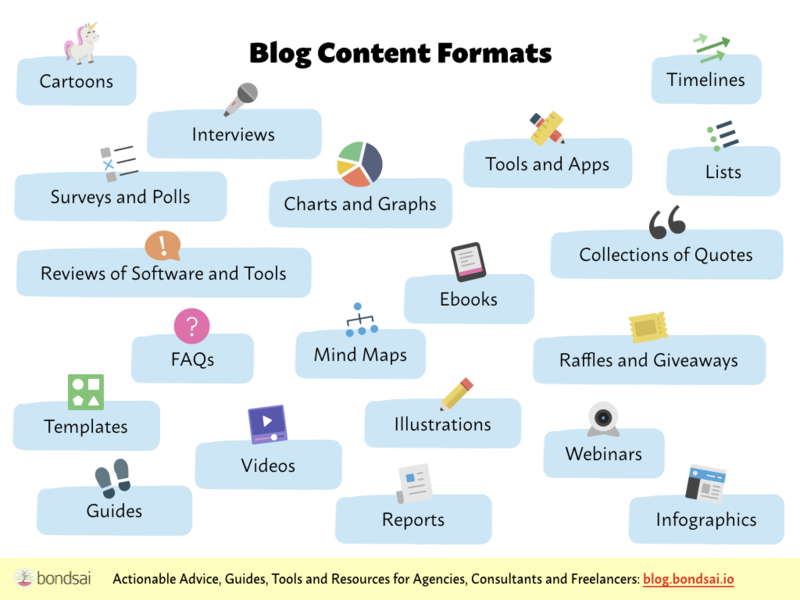 Types of content you can post on your blog. Keeping a blog worth returning to isn’t easy. I can’t confidently say I’ve still to figure out everything when it comes to this little corner of the web. Some of what I’ve managed to pick up in the last year I have shared in a three-part series. Hopefully, it will make someone else’s blog journey less challenging. 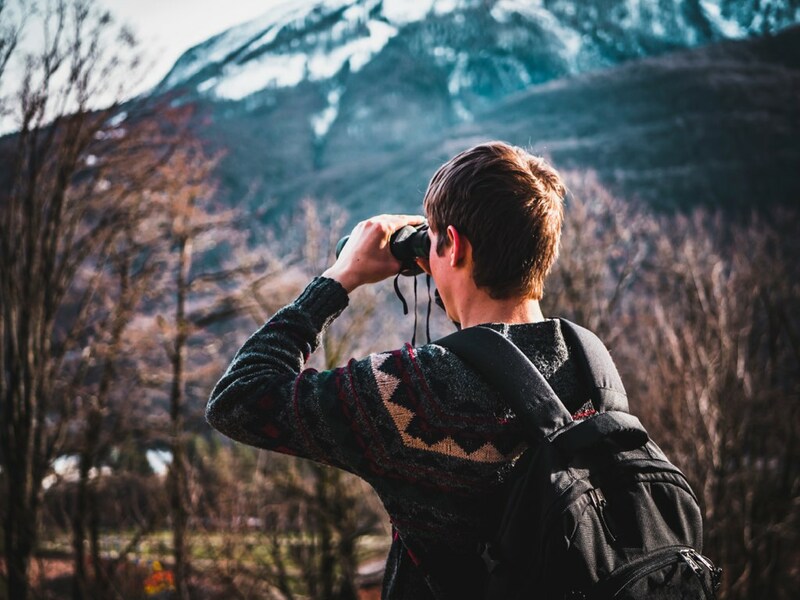 Reading our three-part series is a great place to start if you plan on delivering on your new year’s resolution regarding blogging ambitions. As always, the comments section is open to questions. I’m happy to help. We’d like to thank all our loyal readers who have been with us throughout the year. We will keep doing the same – bringing you new actionable ideas and insights and not just paper models but things you can implement in your own business. If you just discovered us; a warm welcome! We hope you’ll find much useful advice, tips and ideas here. If you want to stay in the loop and get new posts by email, subscribe to our newsletter and follow us on Twitter and LinkedIn!